Switch on the notebook, when the boot logo appears press [F2]. Press keys in the order [CTRL], [TAB], [CTRL] and [ENTER]. For some reasons it could happen that no PC Serial No. and Challenge Code will be displayed instead of “Not Certified” appears. In this case, remove the AC-adapter and the battery for a short time and try it again. Press [ENTER] key. 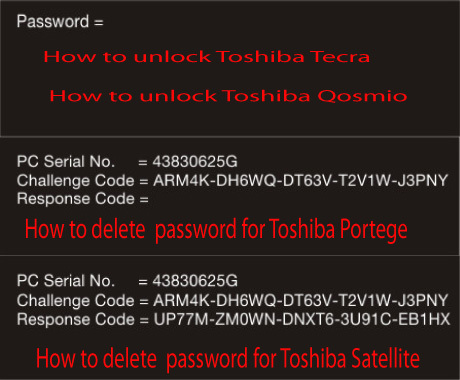 The “TOSHIBA Setup Utility” (BIOS) appears. Go to the “Security” tab by pressing the cursor right key [->]. Check if the line “Supervisor Password Registered” or “User Password Registered” is marked. Press [ENTER] the second time. The User Password is set to “Not Registered”. 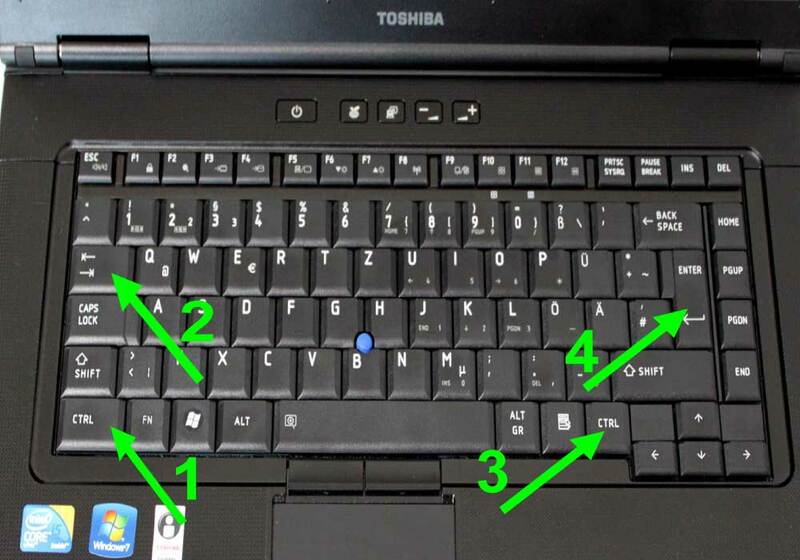 Press [F10] key to save the changes and confirm this by pressing the [Y] key. 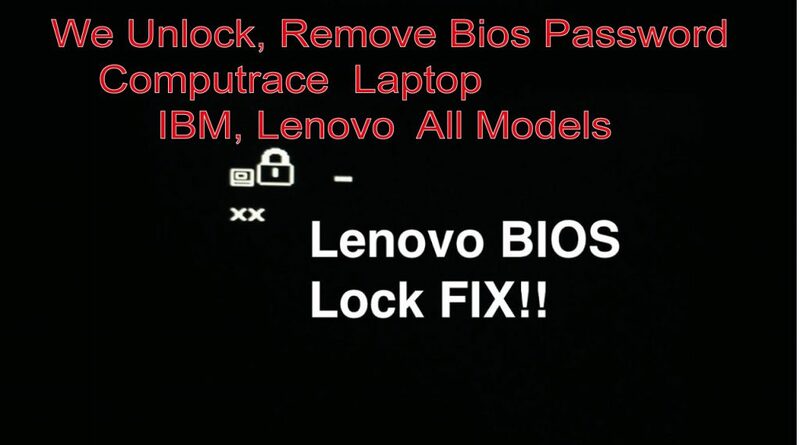 The BIOS Password is deleted. Do not power off the computer once you provide us with a Response code. There’s a unique Response code .Don’t turn off your notebook, don’t restart it, don’t enter anything except generated Response code.